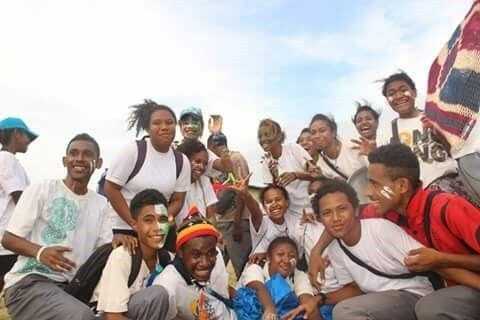 Founder's Week has always been a time every single student in the Lasallian Schools of Papua New Guinea eagerly looks forward to! 2016 was no different from all the other years; as a matter of fact it was extra special for everyone because this year marks 70 Years of the Brothers' presence in Papua New Guinea. The fact that this year marked 70 Years since the first Brothers arrived in Papua New Guinea made all the schools work exceptionally hard to ensure that Founder's week was celebrated in the most extravagant ways possible. Though most schools planned to stage a big celebration on Friday the 13th of May, La Salle Technical College and De la Salle Catholic Secondary School Bomana showed tremendous School Pride and Lasallian Spirit by having mini celebrations every afternoon of the week as a lead up to their major Friday celebrations. Lead up activities may have differed during one or two days but certain activities were carried out in both schools. These activities included a Quiz on the life of De la Salle, Mini Dramas, Talks by Religious Brothers and Sisters teaching at the Schools and the stand out activity, singing contests on Thursday. La Salle Technical College's Singing Contest was themed, "The Voice of La Salle" whilst De la Salle Bomana had presentations of original compositions about the Founder. Apart from the lead up activities that were taking place, students from the respective schools also took time to give thanks to their teachers in one way or another. 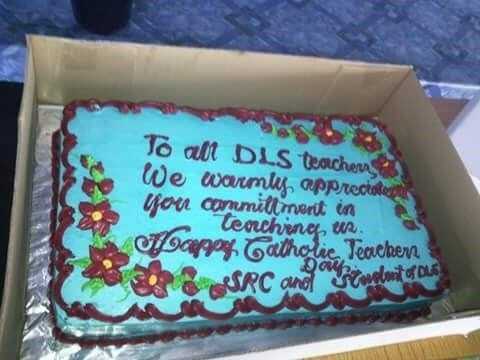 The Boys of De la Salle surprised their teachers with a lovely cake whilst the students of Jubilee Catholic Secondary School got gifts for all their teachers. 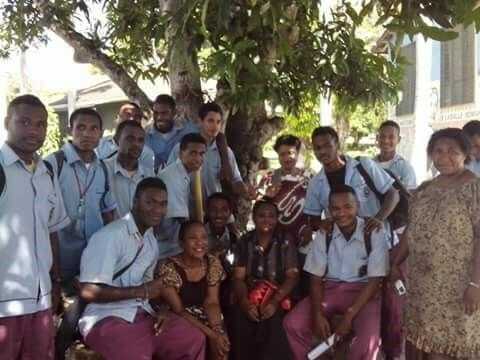 When Friday finally came around, all the schools went into full swing to celebrate Founders Day for the year 2016, keeping in mind also that the year marks 70 Years for the Brothers' Presence in Papua New Guinea. As per tradition, all the schools had a Eucharistic Celebration before any of the days planned activities were to start. 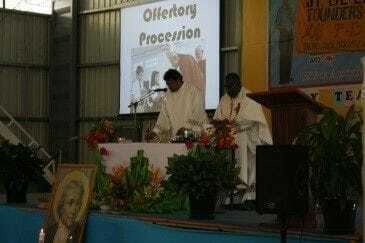 Jubilee Catholic Secondary School's Mass was led by Fr. John Glynn the School Chaplain, De la Salle Catholic Secondary School's mass was led by Fr. John their School Chaplain and La Salle Technical College had an absolutely beautiful mass that was celebrated by Fr. Justin a Marist Priest who resides next to the school. For some schools, after their mass they proceeded to present gifts to their teachers. At Jubilee Catholic Secondary School this was a very emotional activity for the students, especially the year 12s who shed tears as they thanked their teachers for bringing them so far in their Secondary Education. 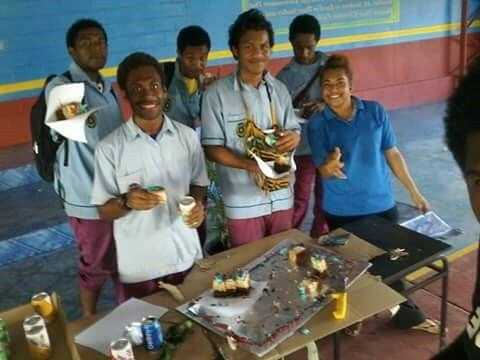 By the time the afternoon rolled around, all the schools went into the typical and somewhat traditional form of celebrating Founder's Day in Papua New Guinea, and that is, sharing lots of food and playing lots of games! It truly didn't matter which school you decided to spend the day at, during this time of the day, the feeling of being Lasallian and being a Family truly came to life. The schools had a marvelous time celebrating Founder's Week, and for most it will always be a memorable experience to be cherished forever. 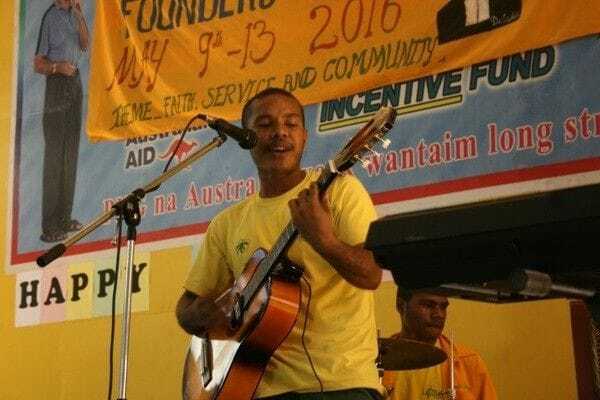 About: Dagia is the Lasallian Youth Minister for Papua New Guinea.